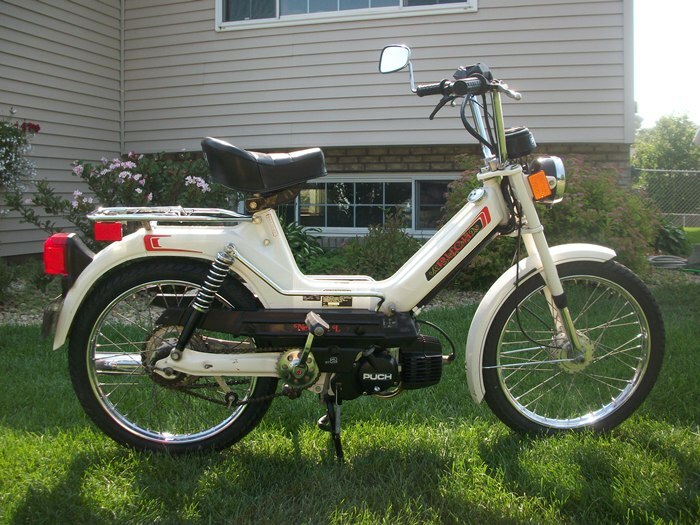 Very appealing and not so common white Puch Newport moped. 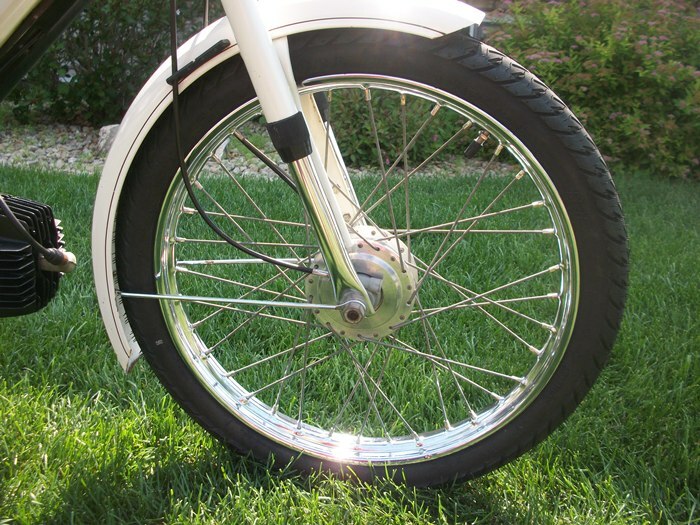 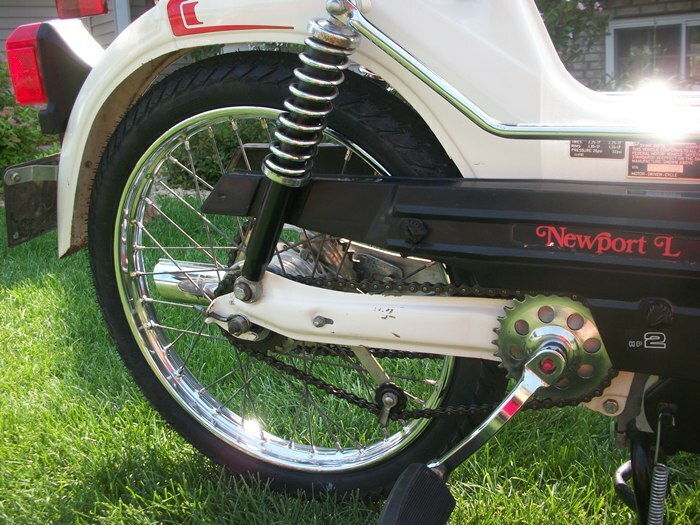 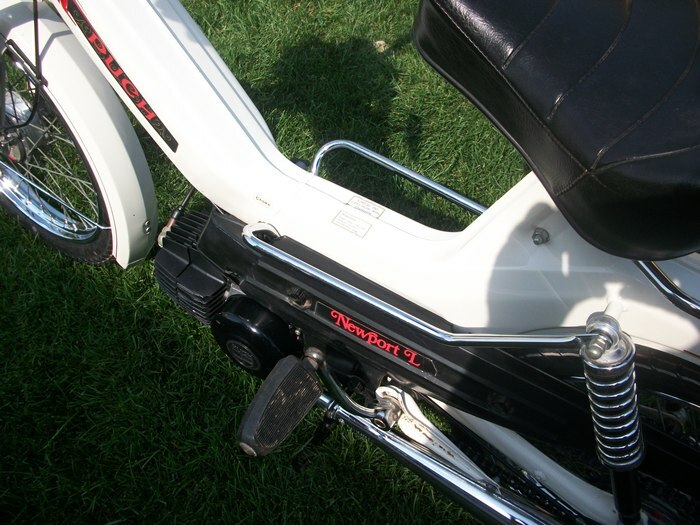 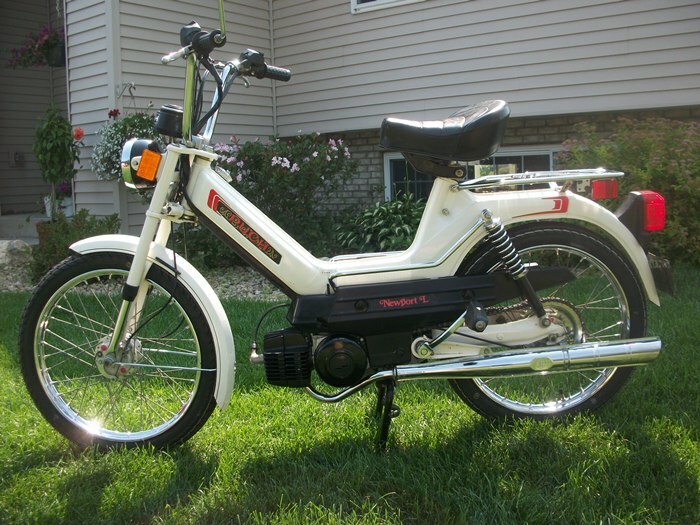 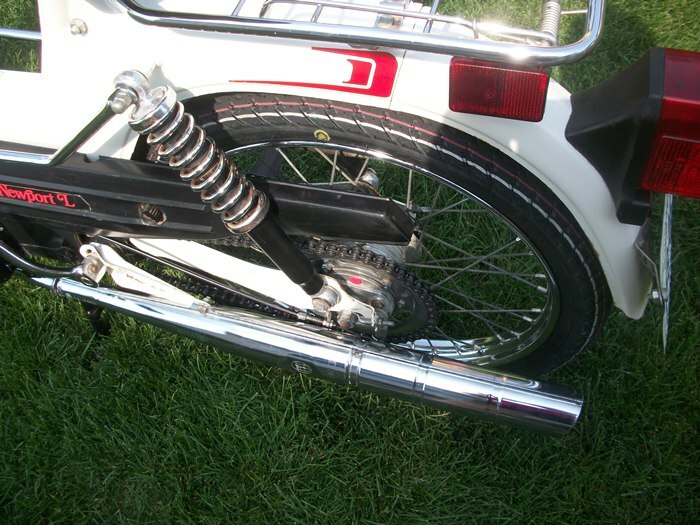 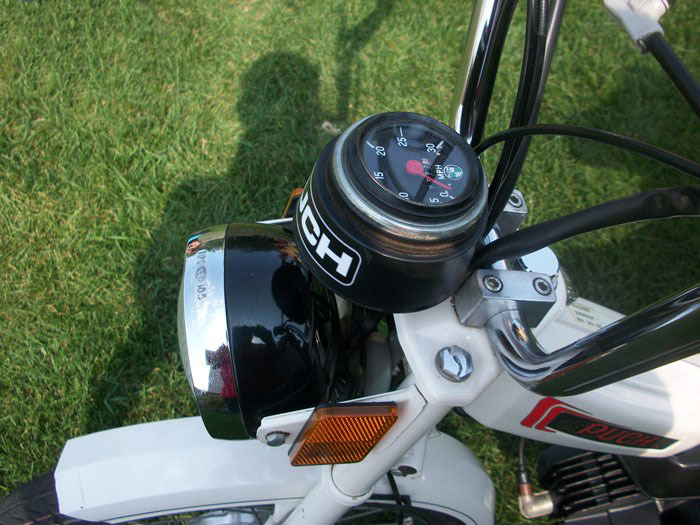 This was a one owner moped that was very lightly used and well cared for since it was purchased new in 1978. 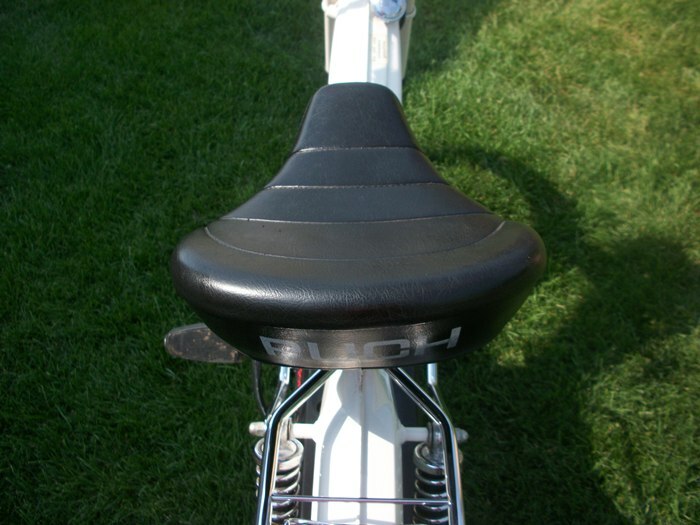 It was in amazing condition when we acquired it but we gave it a complete reconditioning so we can include a full 30 day warranty.